Australian sports game developer Big Ant Studios announced their new Ashes Cricket game will be released and made available to purchase on November 16, 2017. The game is available on the PS4, XBox One, and PC gaming consoles. Ashes Cricket is the first ever fully licensed game that will feature actual stars and stadiums from the Magellan Ashes Cricket Competition. 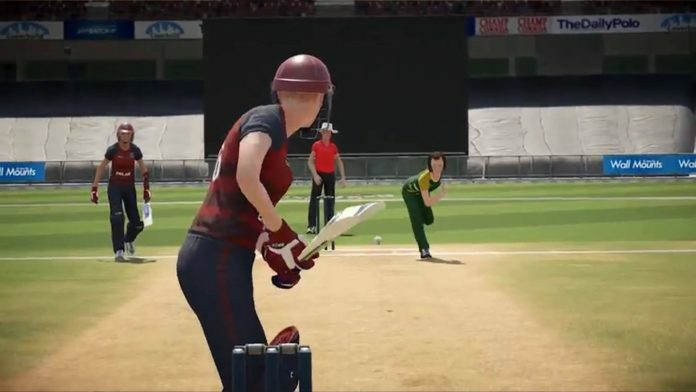 The game’s developers reportedly worked with Cricket Australia to help create the most in-depth, realistic Cricket gaming experience to date. Since this game has the lure of the real Ashes competition, the game’s developers are even more hopeful about it’s potential to appeal to new fans. Big Ant CEO Ross Symons is particularly excited about the new realistic aspects featured, for the first time, in the upcoming Ashes Cricket title. “We’ve worked hard to build on our existing experience with cricket to deliver a truly realistic game of cricket to our fans,” Symons explained. This isn’t the first Cricket sports title from Big Ant Studios, though. The Australian game developer is also responsible for developing the Don Bradman Cricket franchise. The Bradman franchise released their 2017 edition of the series back in December of 2016. Ashes Cricket definitely looks to build on the popularity of the Don Bradman Cricket series, and expand the Cricket video game genre in general. The Ashes Cricket game will feature a new career mode very similar to that of EA’s FIFA Journey game mode. Ashes Cricket will allow players to experience the career of a player as you work to come up through the Cricket ranks and make it to the professional league. Big Ant developers feel their association with the Ashes brand name gives the game a certain level of credibility that should win big points with fans of the sport. “We have produced a true Ashes Cricket game, through and through,” Symons later added. Ashes Cricket will hit the market roughly one week before the start of the Magellan Ashes Cricket competition. That should give fans time to try out the new game before comparing it to the real thing. Be sure to check back with SGO for all the latest news and notes from around the sports gaming world.